Template is the main root of a blog or website. Templates make your blog look beautiful. Template also contains codes of all the gadgets and widgets, search box, navigation bar, attribution etc. Gadgets and widgets can also be customized, added, removed by editing template. Blogger has different types of templates which are categorized as simple, travel, Dynamic, picture window, awesome inc and many more. You can find them in template tab. But most of the blogger templates are old and boring. You can add a template from other site which you like. 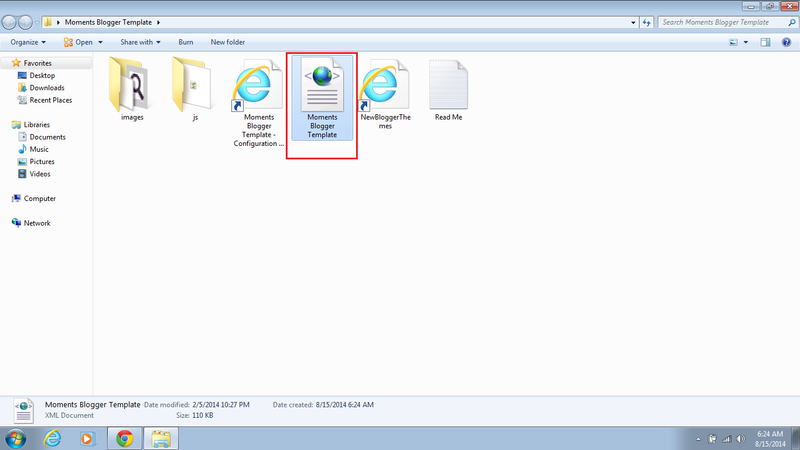 The format of blogger template file is xml. Always download a template from trusted sites e.g https://www.templateism.com because third party template can be harmful. You can find all types of templates at https://www.templateim.com whether of 1 column, 2 columns, 3 columns, 4 cloumns, different colored, different styles, responsive templates, fixed templates etc. Before adding a template you must download a backup of your previous template because sometimes the templates downloaded from other sites doesn't run. In this tutorial I will tell you how to add a new template to your blog as an example i am using Moments template(which I've added to my blog). Follow the below steps to change your blog template. (1). Go to https://www.templateism.com, select a desired template and download it. You will find the template in zip folder. (2). Extract the zip folder and you will have the files of template. (5) . Last step is to click the upload button. Your template is changed and ready to use. You can customize the template by clicking edit template. Add or remove gadgets or widgets which you don't want to appear. If you are having any problem related to it ask me in comments or E-mail me at fahimraza101@gmail.com.Follow and subscribe for latest updates. Share it with others and help me spread my blog :).